It’s term 3 and you’re running out of healthy, school lunch box ideas. We know all about it. 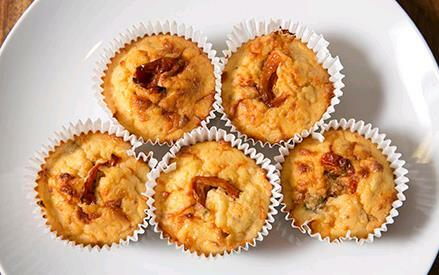 This is why we are sharing an Easy Savoury Muffin recipe with you. Easy to make and easy on the braces too! Pan fry onion until brown. Combine all ingredients in a mixing bowl and pour into paper-lined cupcake baking tray. Bake for about 20 minutes or until muffins rise slightly and are lightly browned.